Listen to this podcast on our site by clicking here or subscribe today by clicking here. Fears of a trade war are heating up, but the US may be in a strong position to make a deal. This time on FS Insider, we spoke with legendary fund manager Felix Zulauf, head of Zulauf Asset Management and Zulauf Consulting as well as a previous longtime member of the Barron’s Roundtable, to get his take on President Trump’s trade strategy and what it will mean for markets. Many international observers didn’t know what to make of President Trump’s approach at first, whether he was just shooting from the hip or attempting to satisfy his base, Swiss-based Zulauf stated, but it's become very clear now that Trump has a strategy and may end up being successful in his efforts. That strategy, Zulauf said, is very simple: Trump wants to level the playing field on trade and reduce the US trade deficit. The first $50 billion in tariffs the Chinese imposed were actually moderate, Zulauf stated. Trump doesn’t want retaliation, but is instead trying to force a deal, and he’s signaled that he’s willing to escalate further to make his point. This has put a lot of pressure on China, which was already slowing down. 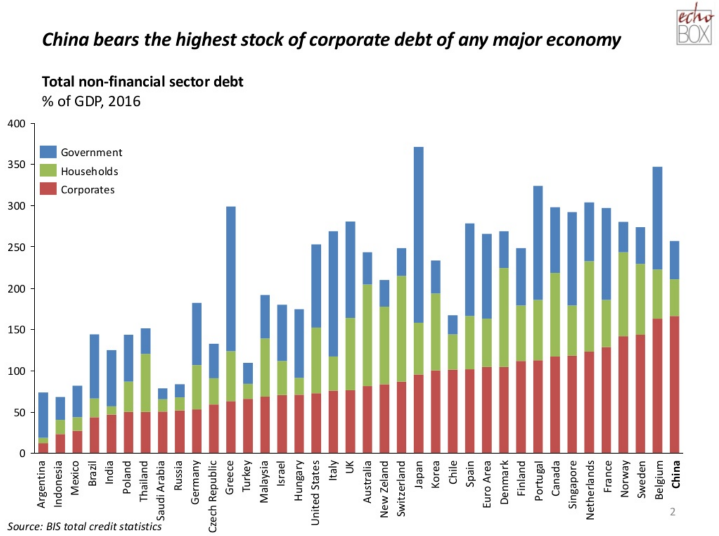 It has a big problem with private corporate sector debt, which has left these corporations in a funding crisis to the tune of about 20 percent of GDP. Source: China's debt time bomb? Ultimately, the Chinese will come to some sort of deal with the US, but the situation may look like it is escalating first, which would drive bearish sentiment in the markets. On the other side of the equation, Trump likely has to strike a deal leading into the midterm elections to help solidify his political position. That means he has to increase the pressure between now and then.